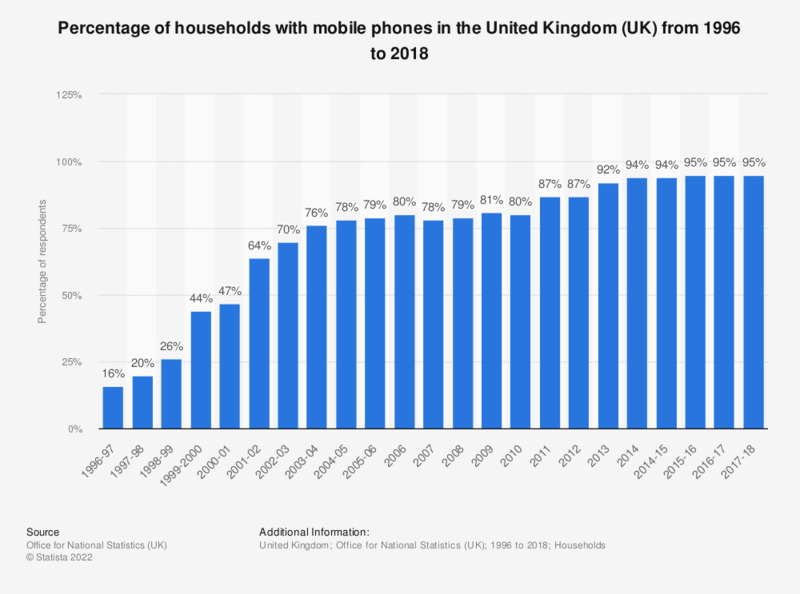 The statistic shows the percent of households in the United Kingdom that own a mobile phone from 1996 to 2018. In 1996, when this survey was initiated, only 16 percent of households owned a mobile phone. As of 2018, that number had increased significantly to 95 percent of households. It's important to note that this statistic refers only to mobile phones and excludes landline telephones.